Guilford Orthopaedics was initially founded in 1983 by Dr. Vincent E Paul as a solo practice on North Elam Avenue. It was a burgeoning time in the field of orthopaedics, with new ideas taking off throughout the country. At the same time, the popularity of and participation in sports was growing fast and the practice quickly realized that sports medicine could be an exciting new focus for them. So in 1987, with partners who specialized in sports medicine techniques, Guilford Orthopaedic and Sports Medicine Center was introduced. Having expanded out of the North Elam space, the practice relocated to a site on Green Valley Road, which incorporated a comprehensive sports medicine rehabilitation center. This seemed fitting in light of the fact that the building had originally been intended to house the headquarters of the Atlantic Coast Conference. The practice has evolved over the years, now residing in the state-of-the-art facility on Lendew Street that includes a full physical therapy department. 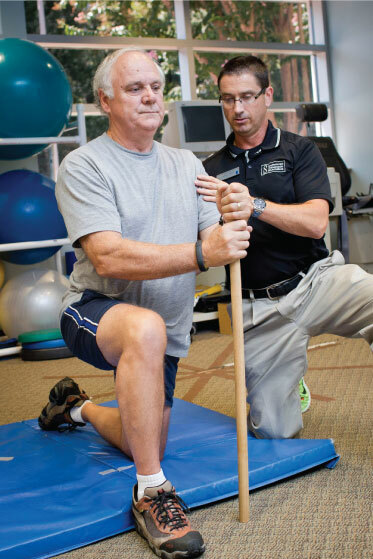 Guilford Orthopaedic and Sports Medicine Center has steadily grown from its founding member to a team of seven highly specialized orthopaedic surgeons, as well as a non-operative sports medicine specialist, and a physiatrist who excels in rehabilitation techniques. Our practice will continue to evolve, but the goal will always be the same; to provide excellent musculoskeletal care throughout the community.